Charlie Carlson and Lady Isabel gearing up to hit the road again. 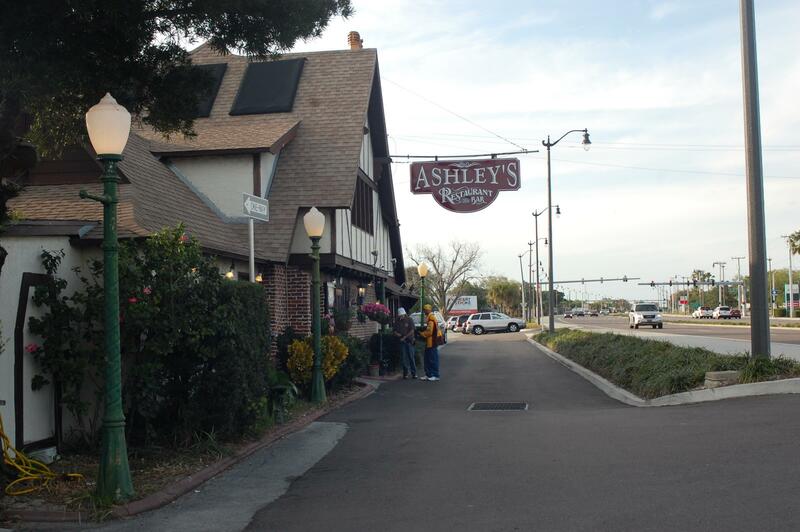 Ashley's restaurant in Rockledge FL, said to be haunted. Lady Isabel posing with black bear. We;re not sure where this alien came from or why it's lurking in the bushes. Lady Isabel co-piloting in the weird mobile. 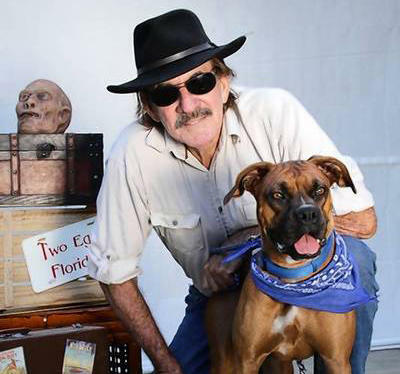 Charlie Carlson star of WLRN’s award winning show Weird Florida: Roads Less Traveled and his new canine companion hit the road again! The tremendous success of Weird Florida: Roads Less Traveled, which has aired on PBS stations from Florida to Juno, Alaska, has attracted an overwhelming response from viewers asking for more strange places. To fulfill the desires of weird fans everywhere, the bizarre journey to Florida’s zaniest places continues in, Weird Florida: On the Road Again. This episode features sites you’ll surely want to visit, like a haunted restaurant in Rockledge where dishes fly off the shelf, a scary hill in Lake County that thrills drivers, New Smyrna’s mysterious ruins, and Key Biscayne’s underwater cemetery. 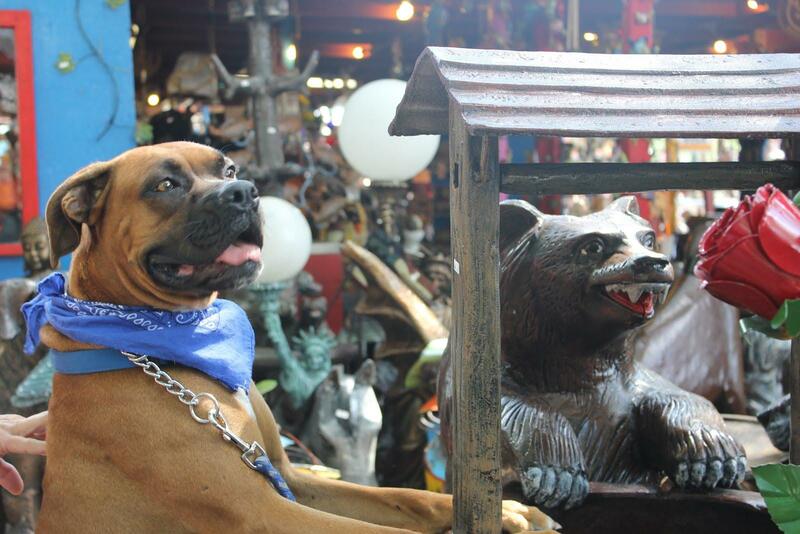 Once again, your guide for this crazy journey is the utterly kooky 10th generation Floridian, Charlie Carlson, “Florida’s Master of the Weird”, and joining him is his curious canine, Lady Isabel.